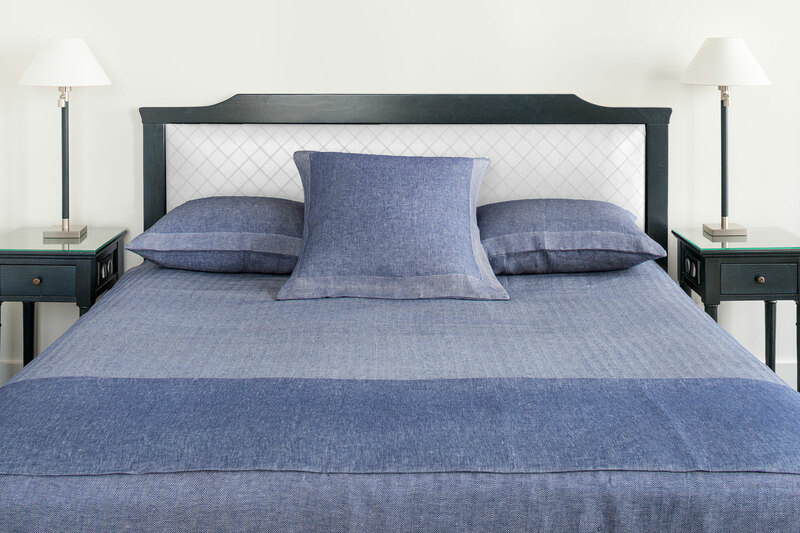 A bedcover in pure linen, choose the herringbone design or the plain denim. Pillow covers are made with four herringbone borders on a plain denim. Zip closure. All in pure linen ! Masculine, trendy, sport chic !